Entitled Going Through The Emotions, the new group show at Unit 51 in Liverpool’s Baltic Triangle coincides with the unveiling of themindmap.co.uk: a scrapbook of expert life lessons on nutrition, mindfulness, psychology and therapy – like What is Cognitive Behavioural Therapy (CBT)?, and Developing A Healthy Relationship With Your Phone. Describing it as “an online wellbeing resource I’d liked to have given to my younger self”, Bridges has populated the site with some famous faces, including musicians Sleaford Mods, celebrity chef Simon Rimmer, and fitness guru Javeno Mclean for their take on Going Through The Emotions in their own lives. Look out for The Mind Map’s upcoming mental health and media workshops in April, starting with a six-week media programme for the Merseyside Youth Association. 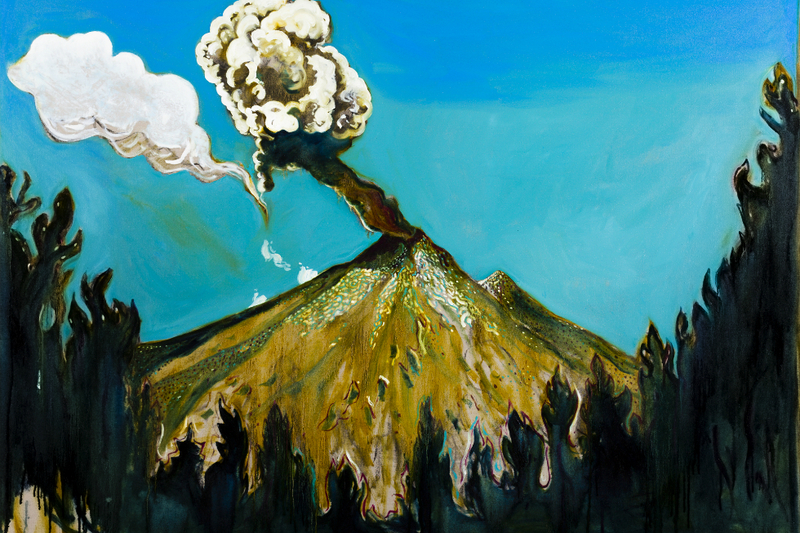 Above: Billy Childish, Volcano through trees (2012). A coup for us, thanks to the kindness of Steve at Billy’s creative platform L-13 Light Industrial Workshop, Billy’s submission acts as both a visually stunning painting and a strong mind metaphor. Above: Amber McCall, I’m Miserable. Hailing from a trailer park in Bell, California, Amber’s work, in her own words, “laughs at all my misfortunes to keep going”. 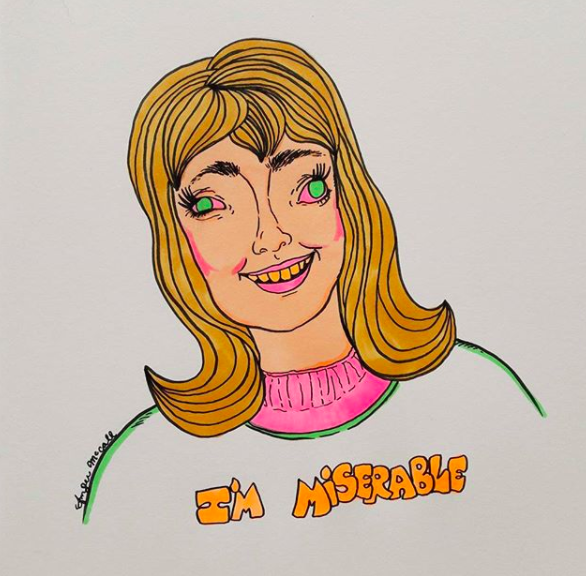 Her illustrations offer a humorous antidote to depression, launching you into the mind of a young woman with anxiety. In I’m Miserable, Amber explores the grainy gap between perception and reality. Above: Darina Mohammed, Holly Carrington (2018). We commissioned Darina to conduct street interviews with young people across the country, uncovering their culture consumption and wellbeing coping mechanisms, to encourage peer-led mental health advice. 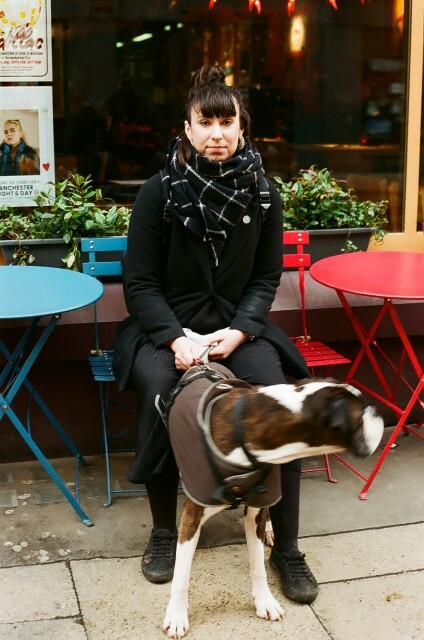 This is an image of film graduate Holly and her dog in Manchester’s Northern Quarter. We have collaborated with Jot Paper Co to uniform the portraits in blue Risograph for the exhibition. 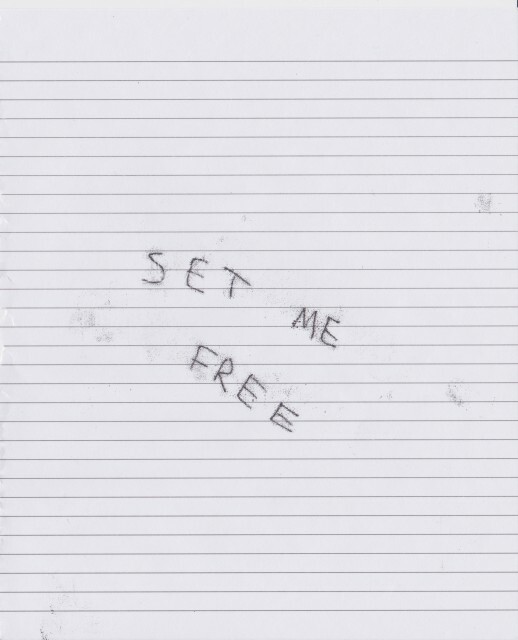 Above: Matthew Challenger, Set Me Free. Matthew is part of Islington Mill based art collective Fresh Fruit, with fellow designer Amrit Randhawa. Over ten monoprints, Matthew conveys the blend of helplessness and frustration he felt during a recent bout of depression. Combining illustration with a rich narrative, the images unfold like an undiscovered diary. 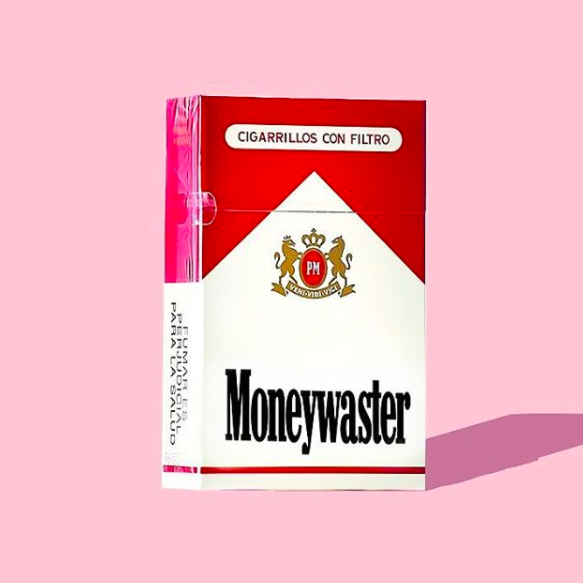 Above: Freddie Smithson, Moneywaster. Whether it’s re-casting the Queen as a bubble jacket wearing ’90s revivalist, or Theresa May as a hair model, Freddie’s zeitgeist-capturing memes are always fun. However, amongst the humour lies a gritty social commentary on concerns including digital communication and health. 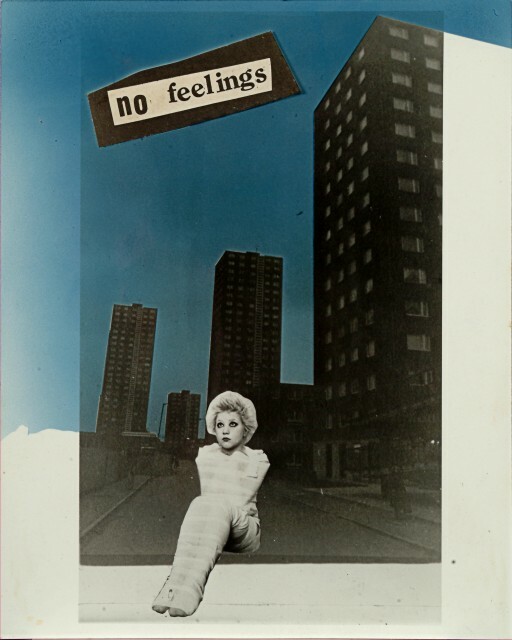 Above: Jamie Reid, No Feelings (1977). Whilst Reid’s work is typically associated with an anarchic social justice, we were delighted to secure this image for the exhibition due to its evocation of suburban sombreness. Above: Comics Youth, Everyone Else. 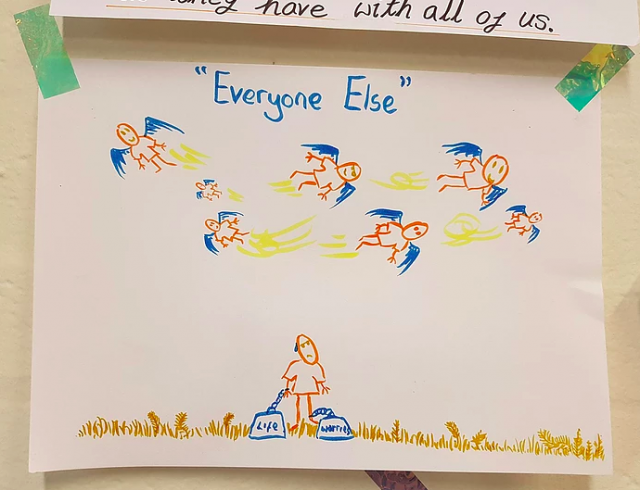 This image is from a young people’s mental health workshop by fellow Liverpool-based social enterprise Comics Youth. The protagonist being weighed down under seemingly flying peers is a powerful one, given the current social media culture of Boomeranging beauticians and the like.